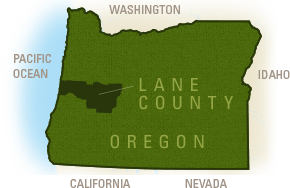 Junction City is just nine miles (14 km) north of the Eugene Airport, making this small community extremely convenient for overnight airport accommodations. Stay in a motel right in town, or choose a bed and breakfast experience in the country. From vacation rentals to farm stays, lodging options include golf course and winery views - and even stables for your horses!